Windows Operating System is a product of Microsoft which is basically a graphical interface environment. Today Windows OS dominates more than 90% of the market share in the desktop category. Mostly this OS is used in laptops and desktops for working purposes. Now this operating system can be used seamlessly on smartphones as well. 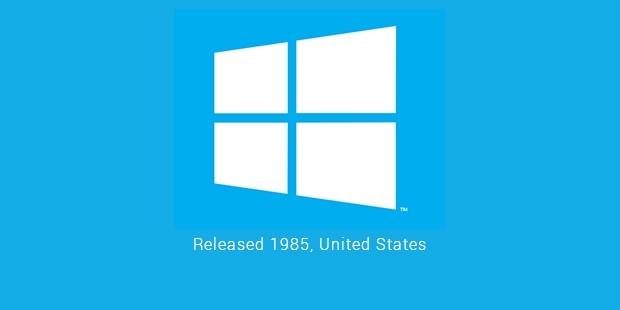 Windows 1.0 was officially released in November 1985. It was not a complete operating system, but an advanced extension of the MS-DOS software. It could not grab the required attention and was unable to make any significant impact. The components that it included were Notepad, Control Panel, Write, Calendar, Clock and Calculator. Soon Windows 2.1 was released. This was released in two different versions, one being Windows/286 and the other being Windows/386. Soon the design was improved and Windows 3.0 and 3.1 were released in 1990. Then came Windows 95 which was released on August 24, 1995. This had the first Start button, Windows Explorer, Task Manager. This soon became a rage. It was on almost every computer desktop in the world. People were so impressed with this software that sales were strong until 2001. Then came Windows 98 which released on June 25, 1998. Again this brought in more important features improving the operational quality. But it was soon followed up by the release of Windows ME (Millennium Edition) adding feature like the Windows Movie Maker, Windows Media Player, and System Restore. But it also faced equally strong criticism for its removal of the real mode DOS support. 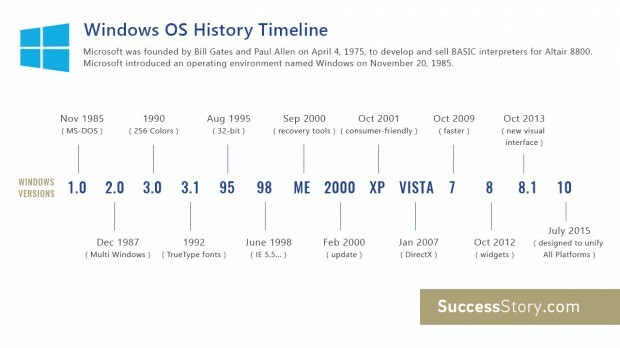 The next version of the Windows OS was called Windows XP. It released in two editions, the ‘Professional’ edition and the ‘Home’ edition’. It completely removed the DOS architecture and replaced it with the ‘Windows NT’ architecture. It was as successful as the Windows 95 version and replaced it efficiently. Next in line came the Windows Vista after which came the Windows 7. Windows 7 had a whole lot of features added on to it. The old task bar was changed and now the user had the option of choosing his favourite applications and pinning them on the Task bar. It had better keyboard shortcuts and was able to decrease the load time effectively. Windows 7 had sold 175 million copies within one month of its release. By July 9, 2012 it had sold around 630 million copies of the Windows 7 software. 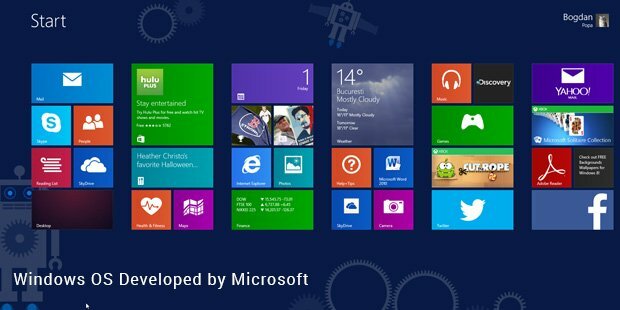 Windows was released on October 28, 2012. But it has not been able to record as much sales as its predecessor. It has the latest edition of Microsoft office 2013 available for subscription. The desktop interface has been made bold and dynamic. All the applications are shown as huge tiles which are really simple to organise. It has a specialized app store called the Windows store where you can buy apps specially designed for Windows 8. It also has an advanced security system where user can only enter in by using the picture password. Windows has integrated its online services with Windows 8. The users can link their Microsoft accounts with services like Xbox Live, Xbox Video, Music and with the Skydrive (online store facility). Windows 95, Windows XP and Windows 7 have been the bestsellers until now. Windows has achieved legendary status with the amount of market penetration it has achieved. It is the most used platform in offices and is an excellent platform for gaming and entertainment as well. 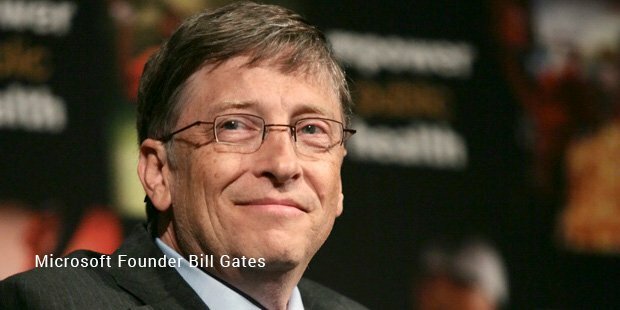 It is without a doubt one of the most loved products of the 21st century and is responsible for making Microsoft an super successful company.